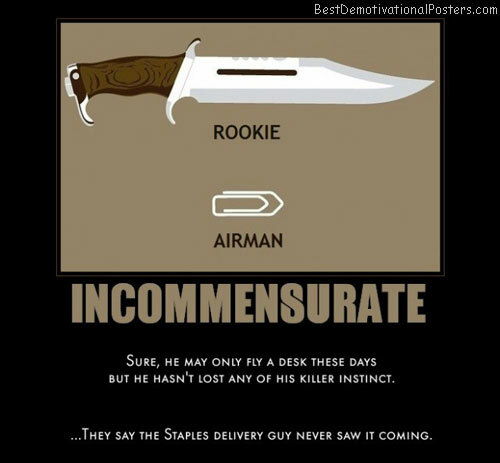 Incommensurate – Sure, he may only fly a desk these days but he hasn’t lost any of his killer instinct. They say the Staples delivery guy never saw it coming. 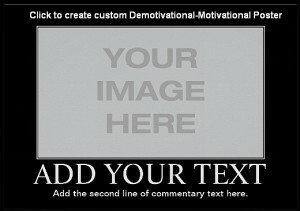 I read this article and found it very interesting, thought it might be something for you. 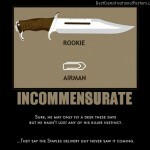 The article is called Incommensurate and is located at http://bestdemotivationalposters.com/incommensurate/.